Due to some overzealous usage towards the end of 2013 I was able to use up this huge bottle of Philosophy's Pumpkin Pie bath and shower gel. I posted a full review of this product here so I won't repeat myself too much. This scent actually went into the sale after Christmas so you may have managed to pick up a bottle half price - did you? This is one of my original holy grail products. 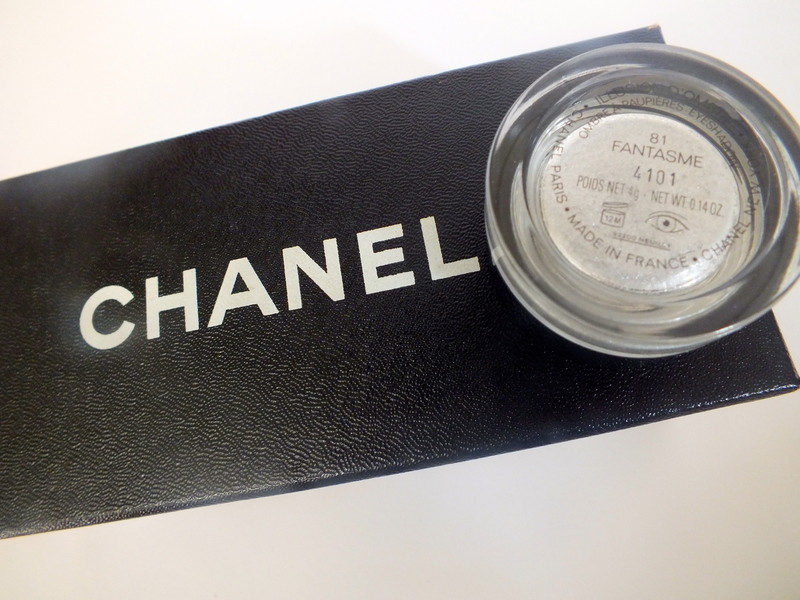 The item I would always treat myself to during duty free shopping sprees and a staple in my make up bag. Luckily beauty blogging has introduced me to more affordable options such as the Maybelline Baby Lips and Lip Smacker range featured here but rest assured when I'm feeling a little flush and in need of a luxurious treat this will be one thrown into the basket. From the high end above to the drugstore lip product. This month I also reached the end of a tube of Blistex Lip Brilliance. This sat on my desk at work and was picked up when my lips needed moisture. It was great for lazy days in the office when I didn't feel it necessary to reapply lipstick but still wanted some shimmer and tint to my lips. I feel a major sense of achievement when I reach the end of a bottle or tube of body lotion as it's definitely the part of my new regimes I'm most lax with. 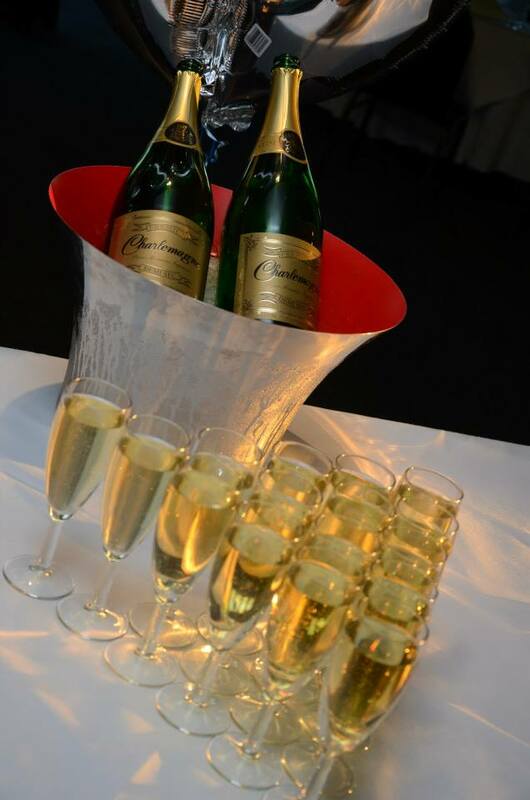 Whilst this may only be a small bottle it was used so that's the important thing. A lovely body lotion one would expect from Molton Brown that was non greasy and a treat following my evening bath. This was one of my favourite products from 2013 and one that will be repurchased now I have spotted the 3 for 2 on the Boots website. 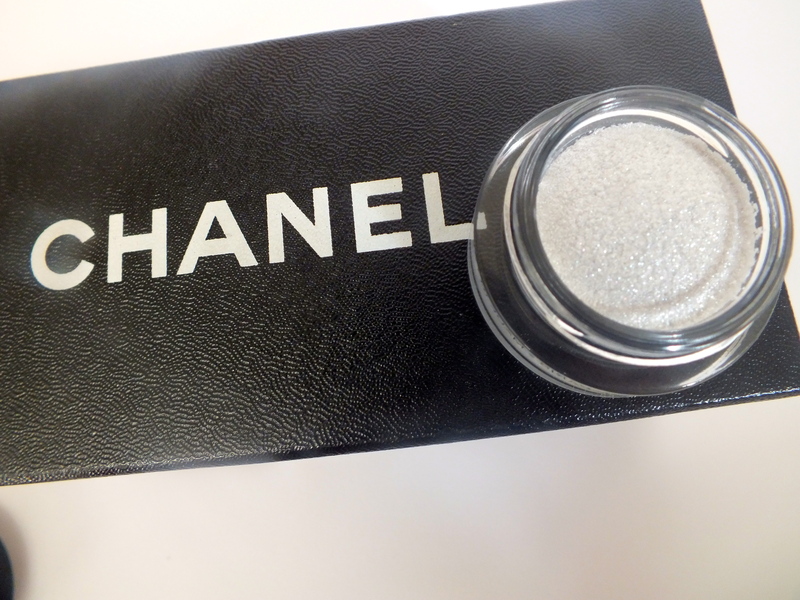 I jumped on the blogger bandwagon when I originally picked this up and never looked back. I'm currently using The Body Shop vanilla polish I received for Christmas (read the post here) and whilst it's great it's definitely more polish than scrub. I want something with a little more oomph especially for pre-tanning. 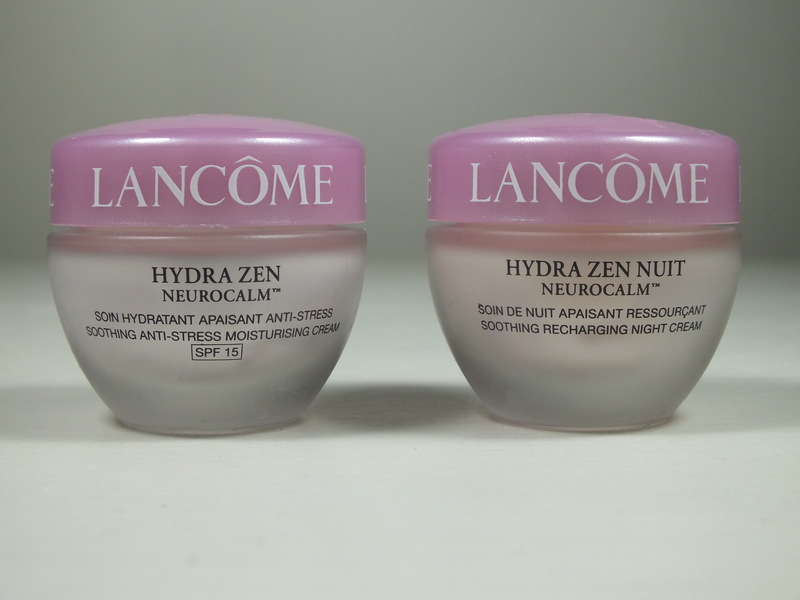 I posted my review on this Lancome Hydra Zen duo here so again I won't go into too much detail other than to say if you have dry skin and are looking for a rose scented day and/or night cream this could be just the thing. A cream gel formula that aids the modern day stresses but isn't too heavy on the skin I would happily repurchase. There wasn't a day that went by when I didn't spray VO5's Dry Backcomb Spray into my hair to add some volume and I was impressed with the high street spray. I'm currently having a love affair with Bumble and Bumble's Texturising Spray but would definitely repurchase from VO5 when I'm tightening the purse strings. The Nails Inc Express Remover Wipe was included in a pack I purchased when I had my acrylic nails removed and I decided to give it a go the other evening when I was preparing for a colour change. I'm not entirely sure how I feel about these wipes. They were great at removing colour but such a huge wipe that I think they are quite wasteful. I ended up removing my toe colour as well as my nails just for want of using the product up. Whilst they would be great for travel I'm not sure they're necessary of cost effective for general use. Have you used this sort of product before, what did you think? Due to having a lot of time off of work over Christmas saw me sitting at home on the sofa surrounded by candles and burning through them quicker than usual. I'm having a bit of a fall out with Yankee Candles at the moment as I don't find they give off enough scent in my lounge. Ironically enough I burnt a votive in my kitchen this evening and I can still smell it lingering so maybe votives are the way forward? 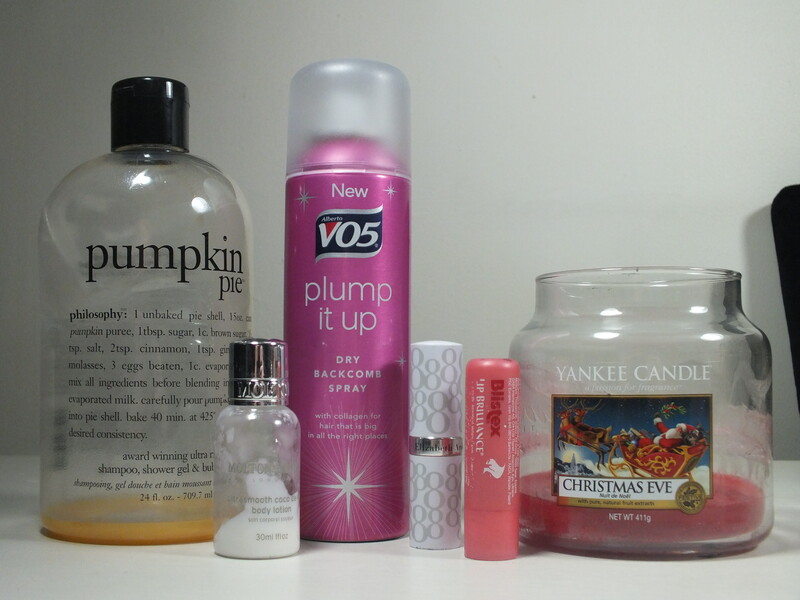 Don't forget to share or link me up to your empties post. I first mentioned Ragdale Hall and the Relax Pillow Spray in my post to aid sleep over the bustling Christmas period which you can read here. 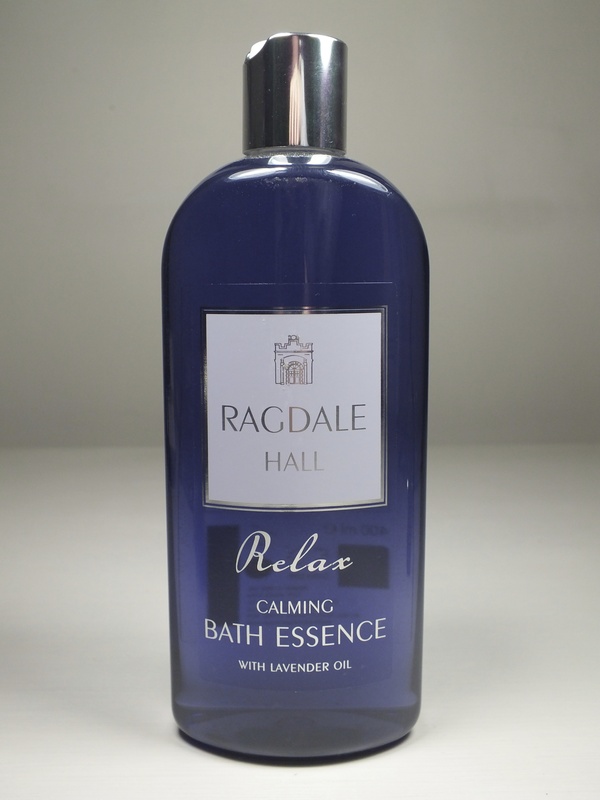 Having run out of my Elemis bath soak and enjoyment of the pillow spray I decided to delve deeper into the range and pick up Ragdale Hall Relax Calming Bath Essence. I have to admit that I had been tempted with the Deep Sleep Bath Salts but more than half the price at £7.50 and for a whopping 400ml I decided that I'd give Ragdale Hall a try first. Obviously I cannot compare the two products but I can tell you that this Calming Bath Essence is quite that. I have something of a routine on Sunday evenings when I run a luxurious bath, apply face and hair masks and do all that prep needed for the week ahead. My whole bathroom swiftly fills with the scent of lavender which isn't too overpowering but is sufficient enough to allow me to slide down into a bath that calms and settles me before bed and welcome a restful nights sleep. There are a whole range of complimentary products which I'm sure I will add to my stash over the year and as Ive said before I think this range would make a fabulous gift for friends or family that are struggling with a good nights sleep. We may be a couple of months off Mothers Day but I certainly think there are some hardworking mum's out there which would love to receive this as a gift. Have you tried this range before and what are your restful tips for a good nights sleep? My friend Rose and I love exchanging daily emails chatting about all things skincare. We give one another the heads up about forthcoming releases, swap tips and even more fun is the packages we send one another filled with products that haven't worked for ourselves but the other may benefit from due to our different skin types. In a recent package from Rose was the 15ml tubs of Lancomes Hydra Zen Neurocalm day and night creams which didn't provide enough moisture for her skin. Initially I was put off by their rose scent and my first trial using the day cream was that it was a little too heavy for my skin. That all changed as the weather god colder, the central heating was ramped up and my combination skin started to veer towards the drier spectrum. I'd also started using Make Up Forever's HD Foundation which clung to the slightest dry patch so I hoped that Lancome Hydra Zen would help me out. I'm so pleased I gave this duo another try as they worked perfectly for me, aided my foundation application and skin was definitely improved against the environmental and emotional stresses over the Christmas period. And the rose scent I didn't like at first, well I grew to love it, especially in the evenings when applying the night cream and you'll see in the forthcoming empties post both pots have now be used up in their entirety. If you're looking for a day and night duo that will live you with soft radiant skin this is definitely a range to explore. 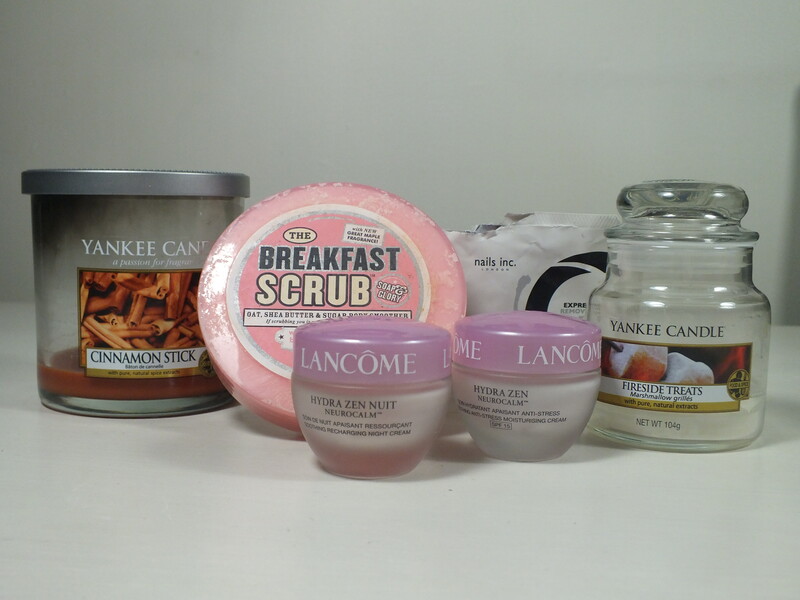 Now it's time for more Lancome recommendations, do you have any for me? 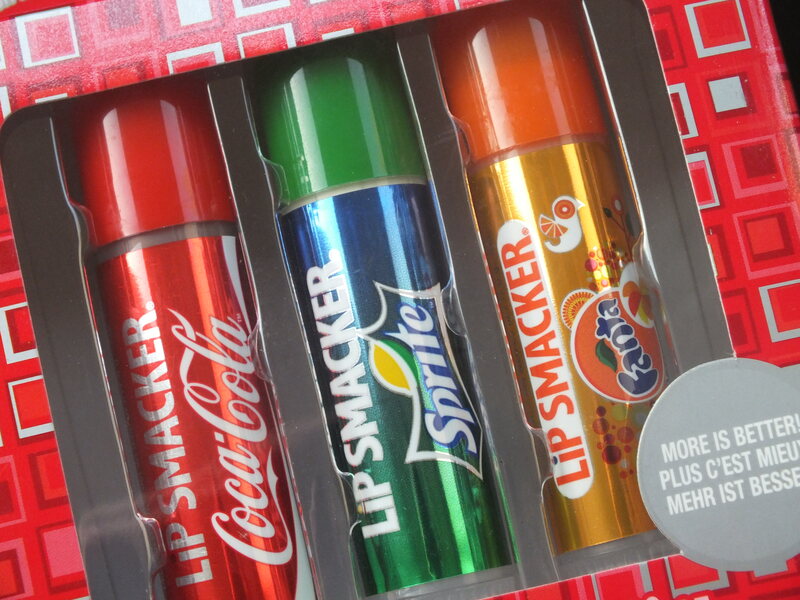 Following the fun and quirky lip balm theme on from last weeks Maybelline Baby Lips review link today's post is about the Coca Cola range from Lip Smacker*. Lip Smacker are a brand I've been familiar with for years and can remember buying the Skittles lip balms from the US years ago when we were unable to find such equivalents in the UK. Don't be fooled and think that these are simply gimmicky lip balms, Lip Smacker know what they're doing and once you look past the scent/taste and fun packaging you have a moisturising sheer tinted balm that keeps your lips soft and does what it should. I have brought many of the various versions of these balms over the years, Dr Pepper for my brother, Paul Frank for a friend who is a fan and having just spied a Cupcake set on Superdrug I think I'll be picking them up for a baking fan friend of mine. What I particularly like about these balms is that they are available in sets which make them fantastic as party favours for men and women alike and a great hit at dinner parties as a talking point with everyone testing out their flavour and remarking how much the Coca Cola one does indeed taste like Coca Cola and so forth. Fingers crossed they bring back the Walls range this Summer! Have you tried lip balm from Lip Smacker before? This month I'm pleased to report my reading mojo has returned. Once again I'm turning the pages of a book rather thank scrolling through my Twitter feed on my daily commute and despite the series end of Scandal I've managed to find new and old programmes that have kept me interested for nights in front of the tv. I love Lindsey Kelk, I only have to read one of her books or twitter feed to know that this is a girl I'd love to be friends with. Firstly don't let the Christmas title put you off, yes it's set and about the Christmas period but not so much that you couldn't read at any time of the year. All the favourite characters from the I Heart Series are there and the biggest one of all, New York. I adore New York but haven't been for years and reading this title has made me think once again is it time for a return visit. 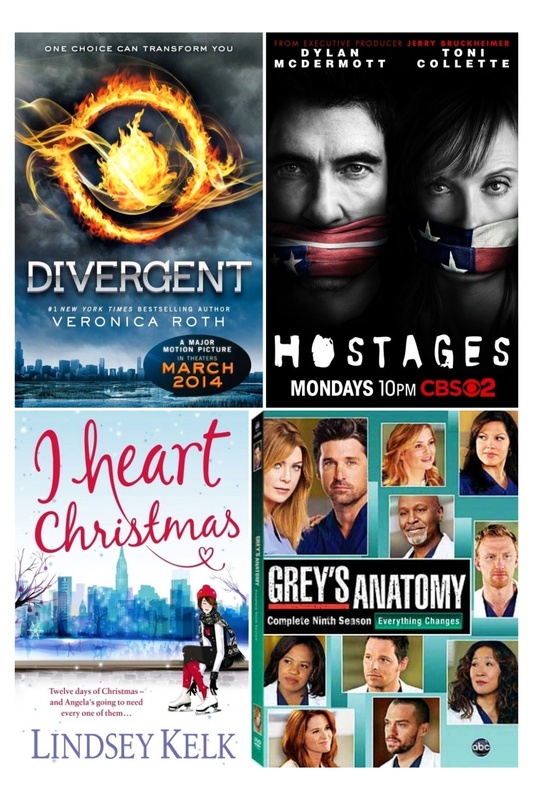 Are you a fan of the I Heart books? Divergent, New York Times Best Seller and the story featuring in a forthcoming blockbuster that somehow I hadn't managed to hear or know anything about. That said I did hear some talk on another blogger (sorry I forget who) and jumped onto my local library's ordering system and got hold of a copy. The style of this book reminds me of the Twilight series. I was never a fan of the films but did enjoy reading the books and targeted for young adults I find that I can almost skim read parts or pick up and put down at whim as you can always catch onto the story. So far I've watched the film trailer twice so I can put it in context with the book and I'm pleased that this is one of the first books in a long time I'm picking up whilst at home rather than automatically heading to Pinterest. January heralded the appearance of many new tv series one being Hostages on Channel 4. Often these shows begin and I can't get on with them (a couple have already been deleted from my planner as I couldn't even get past the first episode) and I actually had two episodes taped before I sat down to watch them - then promptly watched one after another and began counting down for the next. I'm so pleased to see a decent tv series being shown on a Saturday night when quite frankly I find the options limited. I think Greys Anatomy is up there as one of my top tv shows and despite being in it's tenth season I'm as addicted as ever. I came to this series quite late as I wasn't a Sky viewer until I moved out of home a few years ago and since then I eagerly await each new series. Grey's is one of those programs that can lead me to laugh, cry and jump up and down in excitement and gasp in shock - all in one episode. So that's what has kept me busy this month, what about you? I don't usually post on Sundays but as I appear to have got myself somewhat head on scheduling this weekend I thought why not pop a bit of shameless self promotion on the blog. My bedroom at home has always been one of the rooms I've struggled to get just right. It's a shoebox. A large shoebox but an odd rectangle shape that doesn't give you much freedom to play around with. I've since found the best layout for the room and I had it repainted about this time last year but I've still never been quite happy with things. Last Tuesday I decided that my super large mirror and headboard whilst items I loved were just too big and black for the room and didn't aid the peaceful slumber I'm always searching for and they were immediately listed on eBay. My bedroom furniture had always been a bit miss matched, a couple of black bedside tables and a shabby chic style wardrobe and chest of drawers because it fitted in the oddly shaped alcove and a console table moved from my lounge it was time to make things a little more simple - and complimentary. After some playing around with tape measures and searching online I knew exactly what to do and the whole contents of my bedroom was added to the eBay list to pass on to a good home and start again. Impatience is killing me at the moment as I can't wait to get started and I'm holding off ordering any furniture until next week when the eBay listings have ended and I have confirmed collection dates with buyers. It'll be a great further opportunity to have a clear out as I transfer clothes to hanging rails and other items into boxes during the interim period and the plans for my new furniture make me so excited. Nothing better than starting again. As this is my most exciting New Year project at the moment you'll no doubt find this the topic of one or two blog posts so I hope you won't mind the self indulgence and enjoy my excitement at a simplified bedroom space. 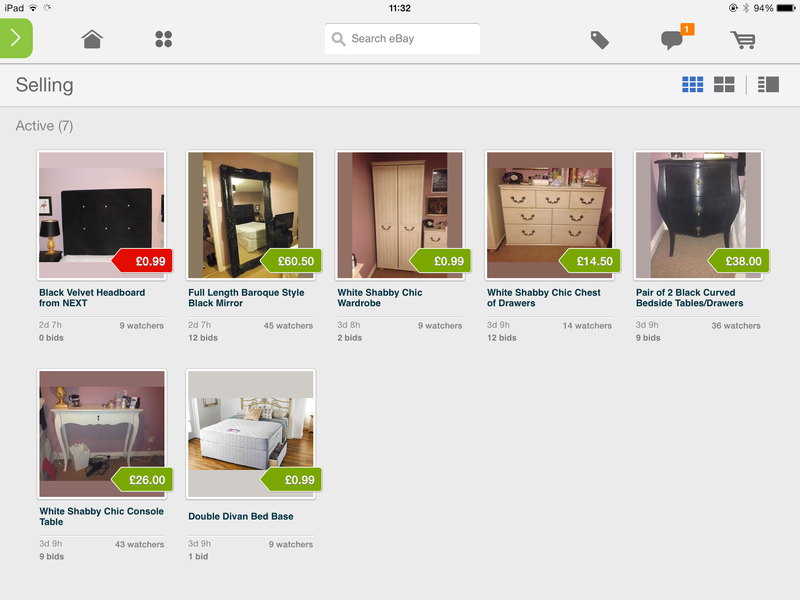 And of course, if you're in the Essex area and in the market for some new furniture, why not take a look! This weekend you'll find me on the sofa tuned to QVC for their January Beauty Weekend showcasing an array of fabulous skincare and beauty brands. 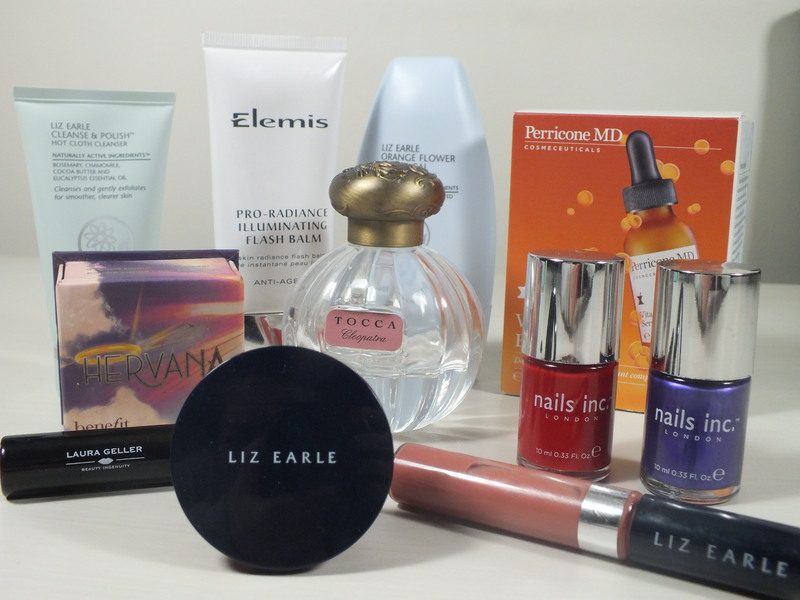 I've made no secret of my love of QVC despite it's stigma of being the housewives favourite as you only have to see the likes of Benefit, Nails Inc and Elemis featuring in their shows. QVC have some amazing prices due to their 'buying power' and I have often picked up bargains such as Rodial Cleansing Balm at half the price it's sold in Space NK as an example; link as well as them often selling products months before their general release (Nails Inc Modern Art polish being another example). Every Sunday I go through the TV guide and hit record for all the shows I'll miss whilst at work and pray that when I get home of an evening I'll still be able to pick up products before they have sold out and love listening to the experts demonstrating exactly how to use the products without any photoshopping tricks. One show I cannot wait for is Josie Maran. You may remember the Josie Maran Cheek Gelee's were a beauty blogger hit last year and I'm still kicking myself for not picking one up in the US back in October but maybe this weekend is the chance to get my hands on one, I'll be tuning in to find out. There's still no sign of a Tarte appearing which I mentioned in this post but you can find a set of lip glosses on the website link. So will you be tuning in to QVC this weekend? When I visited the US in October last year I had plans to buy the Sephora High Roller Make Up Bag. 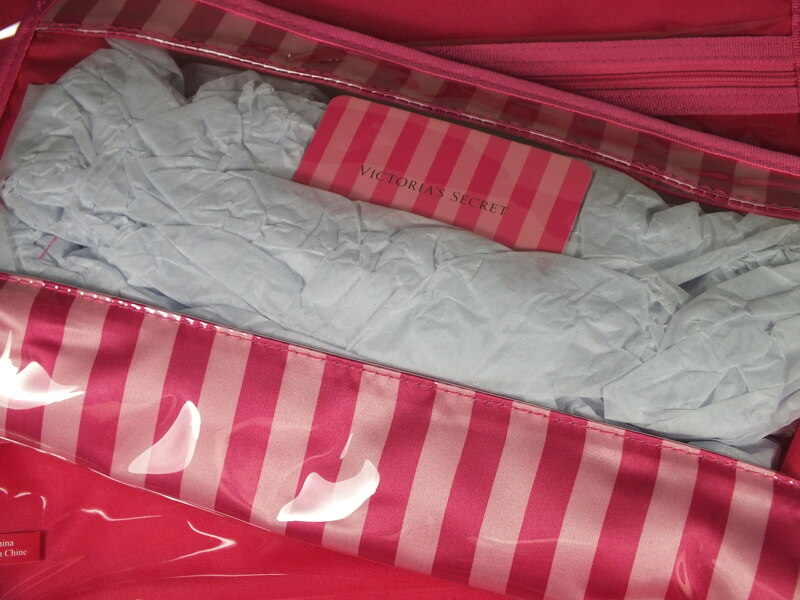 In the end I decided that it was an unnecessary expense and I was set for make up bags with more than any girl should need… until I hit the Victoria Secret store at the airport. 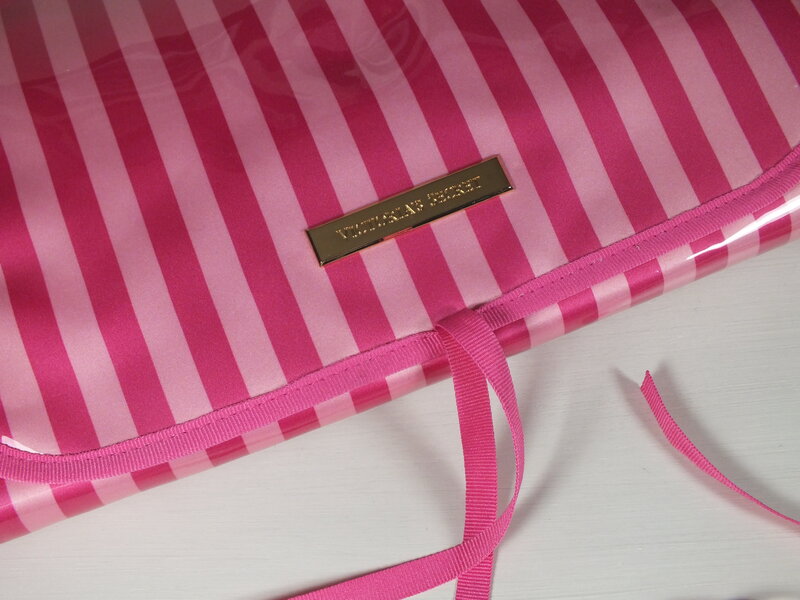 I've mentioned before my narcissistic love of Victoria Secret branded products because my name is, of course, Victoria and when I spotted this toiletry bag in the signature pink strip I couldn't resist; it's practical right? 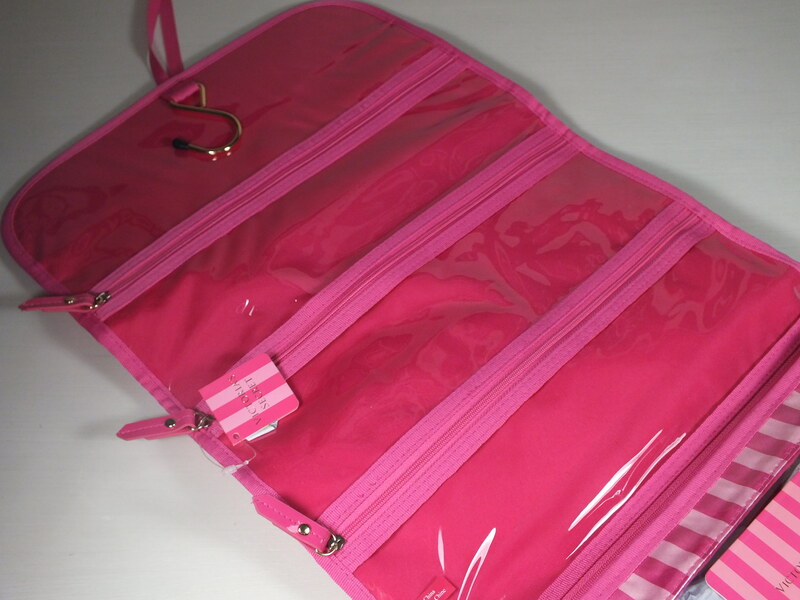 Whilst I'm yet to use this for any travelling purposes it looks the perfect size to hold everything I'll need for any forthcoming trips and I love the handy removal bag section at the bottom which will be perfect for make up whilst the rest of the bag is hung in the bathroom. I like nothing more than organisation so this couldn't appeal to me more with its clear sections and no worries about any spillages with this baby as they will wipe clean with no trace left behind. Now I just need to book a holiday so I can use it. 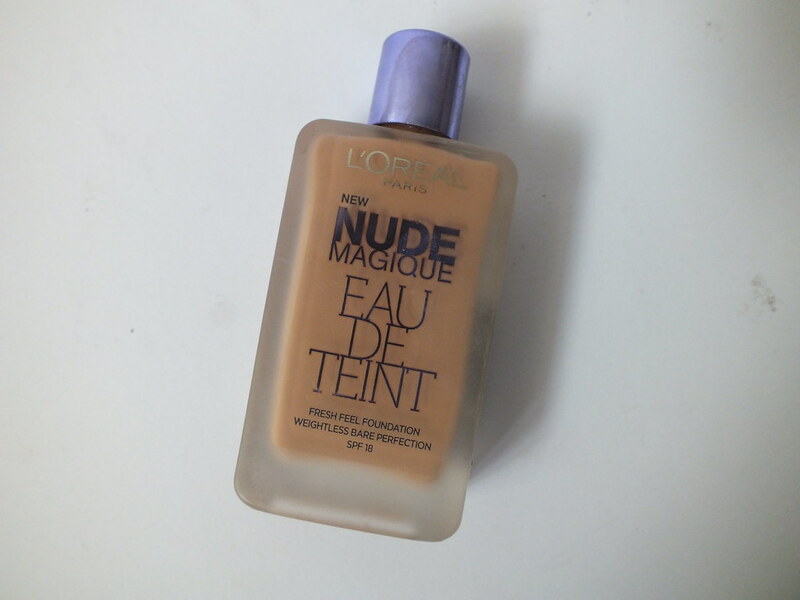 L'Oreal Eau De Teint Foundation was a release back in 2013 that was hailed as a drugstore dupe for Armani's Maestro foundation. Whilst this is a selling point for many, for me it was the 'lighter than water' claims. Don't worry I hadn't lost leave of my senses and was not really buying into the lighter than water claims but I do prefer bases which do not feel heavy and cakey on my skin so it was definitely something to investigate. Starting with packaging L'Oreal's Eau De Teint Foundation comes in a petite frosted bottle which makes it rather attractive for sitting on ones dressing table. Pleasing aesthetics aside the fact the bottle is glass would make it worrying to carry around in make up bags and for travel which is a shame because it's size would make it perfect for this purpose. We're also without a pump for this foundation which is a shame because things can get very messy, especially because of it's watery texture. When I use this I prefer to tip onto a saucer to avoid spillages but this does result in wasting a lot of excess product. Instructions tell us to shake well before use and this is imperative and quite amusing as I've never had a foundation that sounds like I'm shaking a cocktail before - it's definitely liquid. I've tried applying with a brush and finger tips, preferring fingertips to smooth over my skin and leave a light gorgeous velvet texture. As someone who doesn't enjoy heavy foundations but acknowledges the need for some coverage and evening of my skin tone this is perfect. Drier skins should be wary as this foundation will cling to those dry patches and if you have any blemishes you'll need to go in with concealor or look to a heavier coverage product. I'm looking forward to reaching for this more in the warmer months (should they arrive!) when a heavy base is the last thing on ones mind. 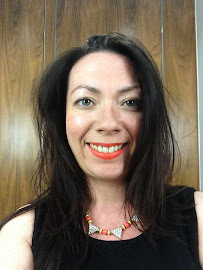 You can also see me wearing L'Oreal Eau De Teint in this post with all the other trimmings. Have you tried this foundation? Is it something you'd like or are you a heavier coverage fan? My go to lip balm and guaranteed duty free purchase was always Elizabeth Arden Eight Hour Lip Protectant. You'd find tubes in make up bags and drawers all over my home but with a £20 price tag and no airport shopping on the horizon it was time to find a cheaper alternative. When the Maybelline Baby Lips craze hit Britain I swore I would not join the hype, it was one launch that I didn't quite get. Now in need of a new lip balm and spotting Maybelline Baby Lips in Boots for buy one get one half price I thought why not see if and why they earned the title of (one of) the most hyped products of 2013. Maybelline Baby Lips sit around the same price point as Carmex, Blistex etc for similar product. Obviously the bright packaging of these babies makes them appealing to many, especially I imagine younger school girls who are unable to wear make up in school. I'm still undecided if I like the packaging of the Baby Lips range myself but maybe I'm too old and dare I say they're a little too childish for me? Maybelline state these will give intense care and 8 hour hydration for baby soft lips which I have not found the case for me and am reaching for the product repeatedly to soften my lips. This isn't a problem as Cherry Me is sitting on my coffee table, next to my hand cream (and remote control!) that I reach for throughout the day as I need to. The scent and flavour of Cherry Me is appealing and I much prefer applying a balm in stick form rather than with a finger so these will be used quite happily for now. 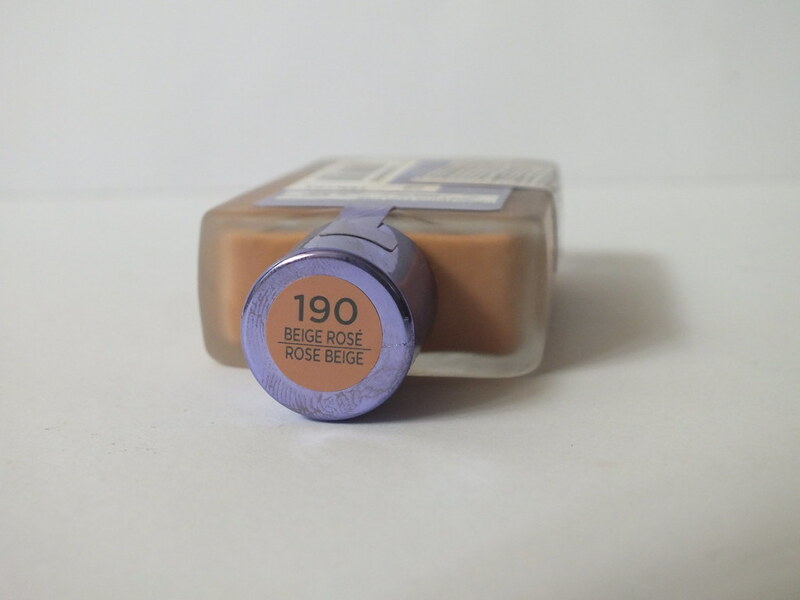 I was impressed with the tint of the Maybelline Baby Lips, expecting little more than a sheen but swiping this on my lips gives a nice darker natural lip colour that does brighten up my face. I'd certainly pop this on for minimal make up days and I'll be taking one into work to pop on my desk and it will be adequate between lipstick touch ups when being lazy. 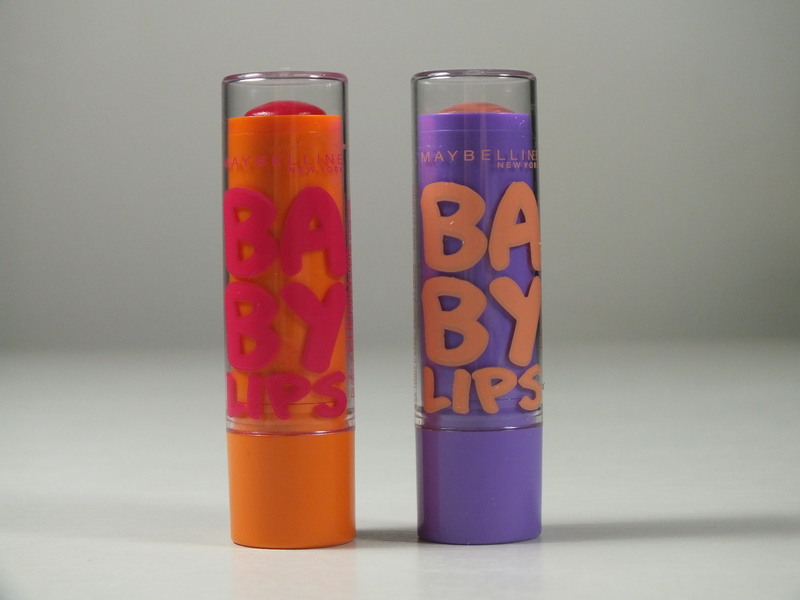 So are Maybelline Baby Lips worth the hype? In my opinion not at all but they are a nice product of it's type and if you're the collecting type and a fan of the product I'm sure a collection of all 6 would be a pleasing addition to the stash. I also think these would make a nice gift for younger make up interested girls who you'd like to keep away from your own lipstick stashes. 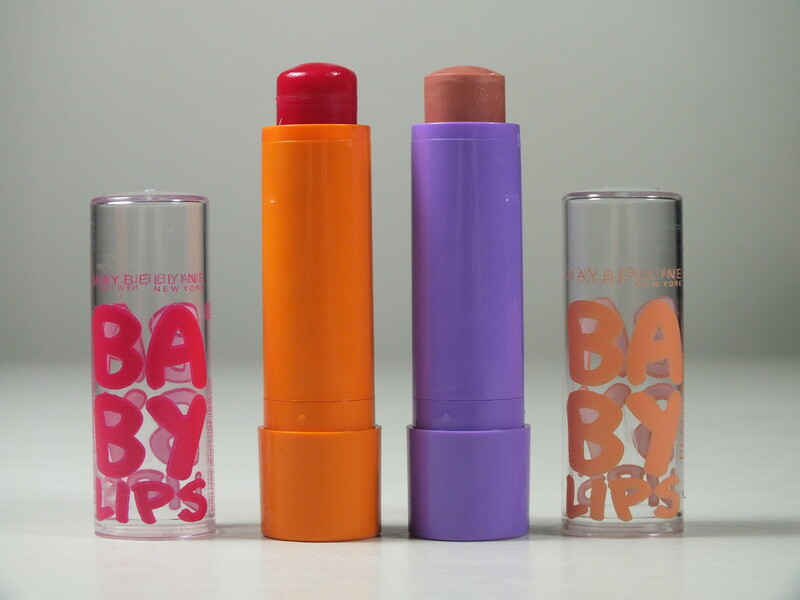 Are you a Baby Lips fan and succumbed to the hype? Many years ago I went on my first trip to America and discovered Victoria Secret stores. I'm extremely narcissistic about products with my name on them so a whole store with Victoria splashed across everything was a dream come true - not to mention it's all in PINK. I remember my first pair of Victoria Secret pyjamas, a pink tee with lace back and Victoria Secret across the chest and bottoms with the same print, I literally wore them till they fell off me. Since then there have been many trips to stock up on amazing products. On my last visit in October last year I treated myself to a fitting and some gorgeous underwear which I'll save for someone else's eyes but there were plenty of other purchases I can share with you. I have a whole draw filled with Victoria Secret t-shirts and hoodies, it's the one thing I'll always ask friends and family to bring home for me. The Las Vegas t-shirt had lots of bling and sparkle and makes slouching around at home a bit more special. I'd seen Victoria Secret iPhone and iPad covers in the London store but held off purchasing till I visited Las Vegas and when faced with them for the same price in dollars as they were in pounds at the Regent Store they were promptly thrown into my basket. You can find the striped one on the US site here. As well as Victoria Eau de Parfum in the handy rollerball size I picked up a small bottle of Love Spell Eau de Toilette. This is one of my favourite scents from Victoria Secrets, not as a daily fragrance but for bath and body products. I thought this EDT at such a good price would be nice to pop on after my evening bath before bed. It's a very sweet scent so I'm sure to to everyone's taste but do have a sniff should you get the chance. There was a fabulous make up bag I picked up at the airport store which I'll share with you in another post and I couldn't resist adding another of their Lace Trim Slips in Navy to my collection. These slips are so comfortable and wearable that they're definitely something I'd recommend if you're looking for something a little special. Are you a Victoria Secret's fan? 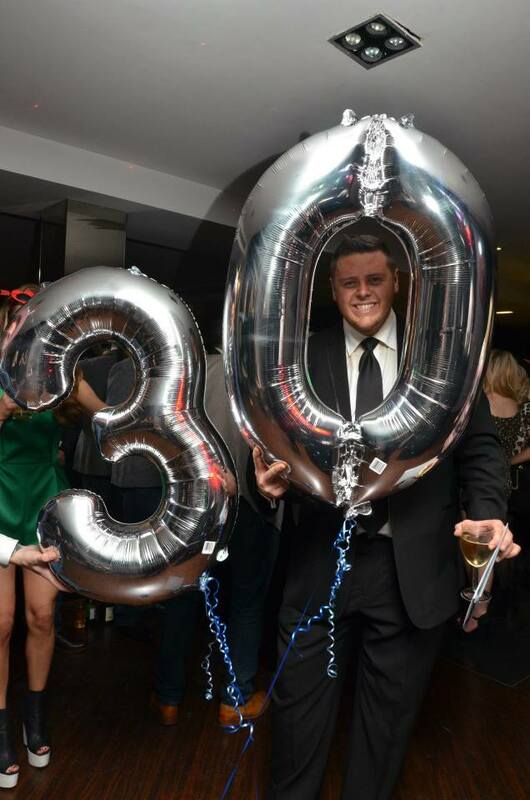 Last Friday my BFF and 'husband' Ben celebrated his 30th birthday and as one would expect he arranged to celebrate in style over the weekend. For this reason I'm sure you can forgive my delayed posting over the past couple of days, especially as Sunday was spent celebrating my niece's birthday albeit in a more low key fashion. 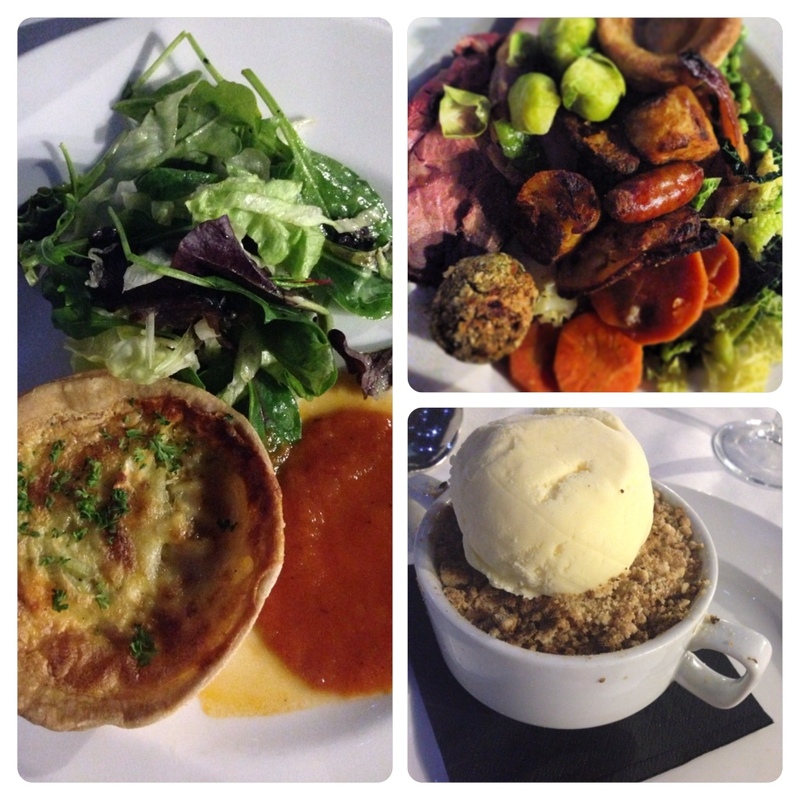 Ben loves a good wedding so he wanted to have that sort of feel with a delicious roast dinner which included his close family and friends. 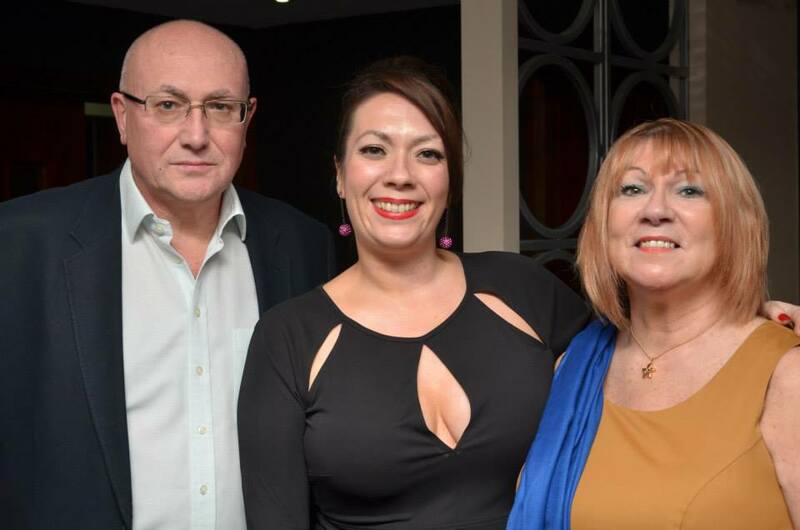 For this reason I made the decision to make an appointment at the hairdressers so that my hair could be put up in a style that needed know fussing to ensure it lasted until the early hours - it also meant I was able to have two costume changes but more about that shortly. Before us 'day guests' had an opportunity to take a snooze after all that delicious food it was time for a quick change and the party to get started with the arrival of more friends and family, some load music and lot's of dancing. 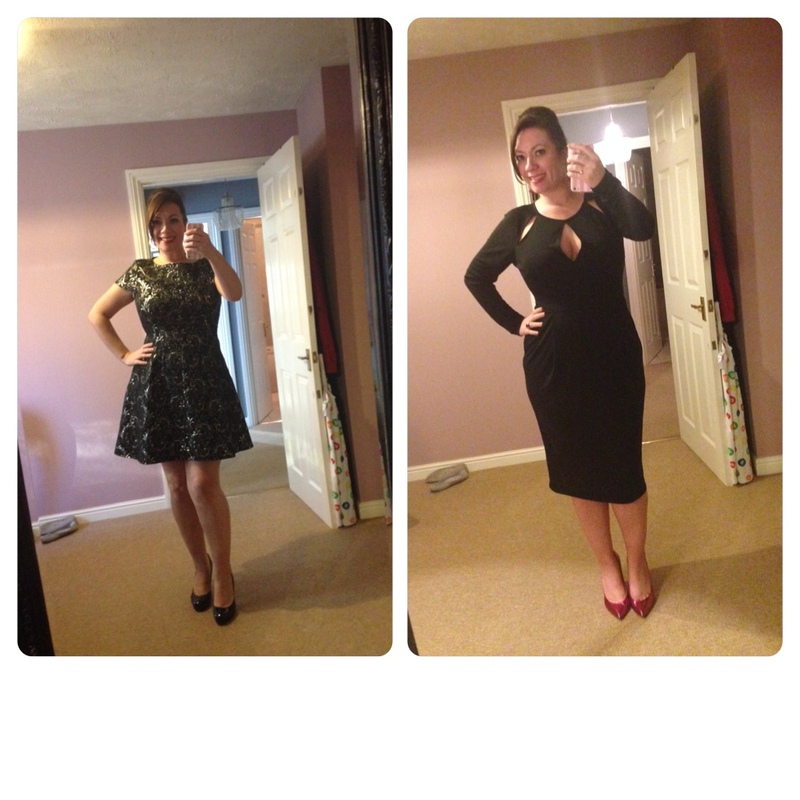 Both the dresses I found for the day were major sale bargains; one before and the other after Christmas. 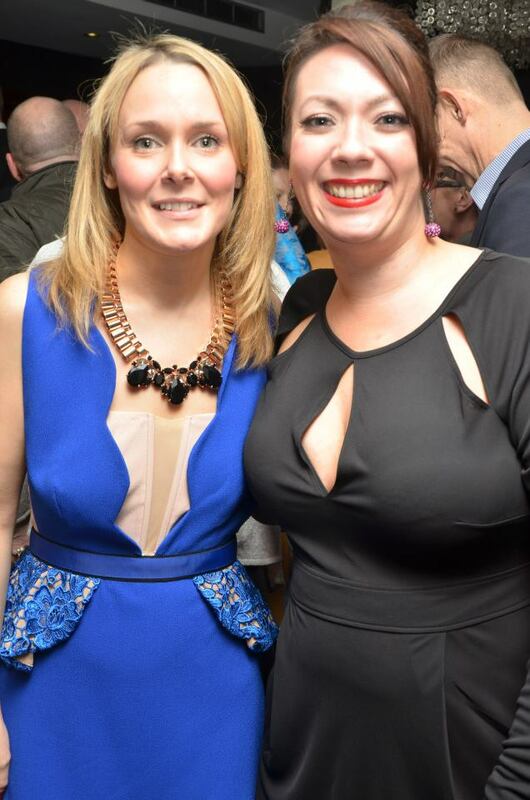 The dress on the left was £18 from Marks and Spencer and the black number £47 from French Connection and was just comfortable enough to forgive such a hefty lunch - the same could not be said for the shoes I was wearing. So there you have my excuse for being absent and normal blogging resume for the rest of the week, how have you been spending your weekend? I toyed with whether to continue and/or hit publish on this Desk to Disco post as I'm conscious many people are following dry January, heavily hitting the gym or dieting so going out is the last thing on their minds. 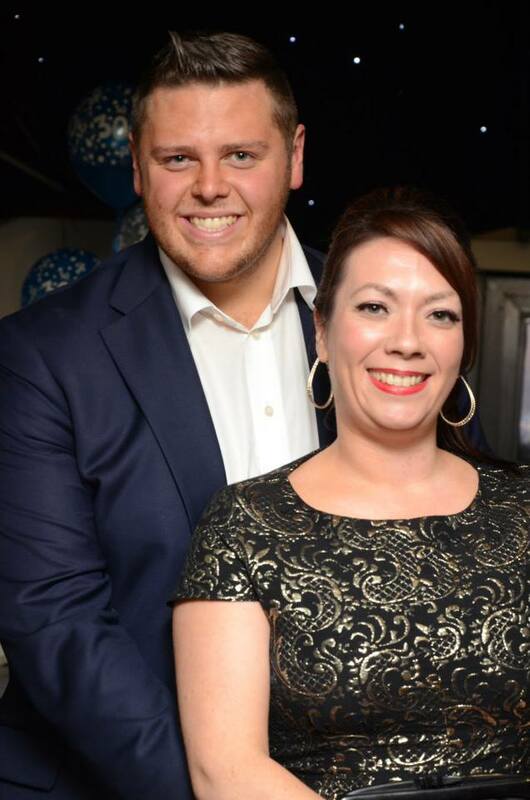 I then decided that there are also probably people like me who this week have returned to work, attended a blog event, enjoyed work drinks for a colleagues birthday, have another friends birthday this evening (Happy Birthday Ben!) and their party over the weekend. So enough with the ramblings on to the matter in hand. This weeks tip to take you from day to night is the trusty false eyelash. I have always been scared of false eyelashes, I've dabbled here and there but applying them has always ended in some sort of tantrum usually with the lashes abandoned. 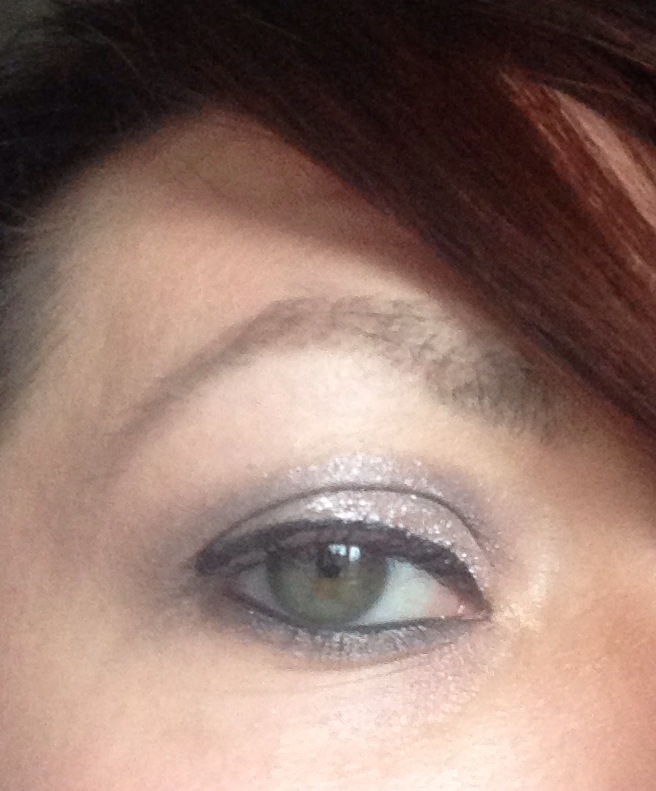 That has all changed recently, and in part due to the Bourjois 2-in-1 Tweezer and False Lash Applicator. I was lucky enough to receive some Katy Perry Lashes from FalseEyelashes.co.uk but hadn't been brave enough to tackle trying them out. When I saw a Sally Hughes video demonstrating the Bourjois 2-in-1 Tweezers I decided that if I owned these there would be no excuses. You may think that this new tool is slightly gimmicky and on one hand I'd agree because why not just reach for the everyday Tweezers but with this tool there are no sharp edges that you're in danger of doing damage to your eyes with. I feel so much more confident popping the lashes between the wide ends and applying to my eyes without any fear. 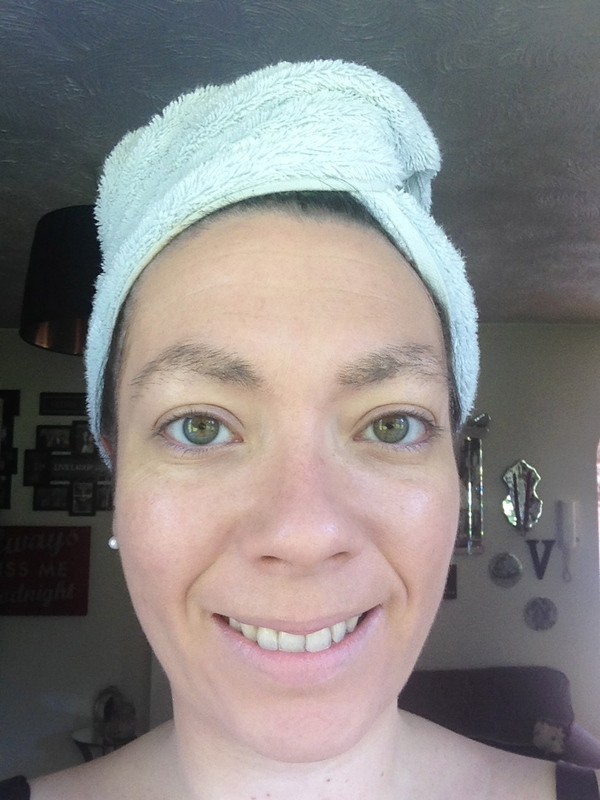 Even better unlike your usual tweezers is that they are wide enough to hold a larger width of the false lash to manouvere into place with your natural lash line - is it just me or with normal lashes do you find you pop one bit down and the other bit pops up and you're moving back and forth fighting a loosing battle. Likewise at the end of this tool is a soft and flexible tip which helps you to tidy up any stubborn ends at the corner of your eyelids. There's no denying that popping on a pair of false eyelashes will dramatically change your look for a night our or new years date and if you've struggled like me I'd definitely recommend the Bourjois tool. For £4.99 you might even be able to find a way to justify it's purchase whilst on a spending ban. Are you a false lash wearer and have any more tips for me? 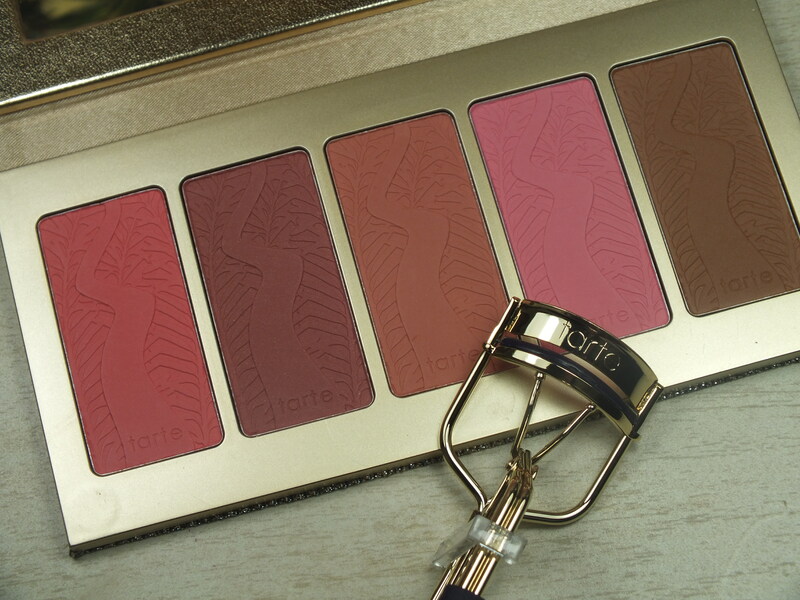 American beauty bloggers have been raving about Tarte Cosmetics Amazonian Clay 12-hour Blush range for some time and there are British bloggers who lucky enough to get their hands on them were just as complimentary. It went without saying that when I was in the US last year they were firmly on my wish list. Park Avenue Princess bronzer and Dollface blush were shades I'd noted down priced at $29 and $26 respectively so imagine my delight when I saw the Tarte Off the Cuff blush palette containing four blushes and one bronzer, including those mentioned for $42. I wasn't the only one who snapped up this bargain as it sold out almost immediately online so I was definitely in the right place at the right time. The palette is slightly tacky in it's glittery packaging but the slim shape makes it quite compact and would be perfect for travel. And I have to confess the 'free gift' of faux leather cuff with bow was disposed of fairly swiftly. The Christmas period has been a great opportunity to play with these blushes and I'm pretty much in love with Park Avenue Princess for contouring and found myself reaching daily for Dollface a pretty medium pink for the perfect flushed cheek. I have dabbled with Crave but was a bit too heavy handed so need some more practice (and a Real Techniques duo fibre brush!) for application. Whether they last for the full 12 hours remains to be seen as I haven't tested extensively but I'll keep you posted after a few tests during the working week as to how things pan out. My fellow Brits might be wondering why I'm teasing you by raving about this fantastic blush and bronzer combo that unless you have your Summer holiday to the States booked you'll be unable to get your hands on. Well the good news is that in the next couple of months Tarte Cosmetics will be arriving to QVC. I popped along to the QVC Spring/Summer press launch a few months ago and it would be a lie to say I didn't do a little happy dance when I spotted a table filled with Tarte Cosmetics. Details are limited as to when we'll be able to buy the products and see them demonstrated on our screens but early mumblings are around March. I know I'm excited, are you? 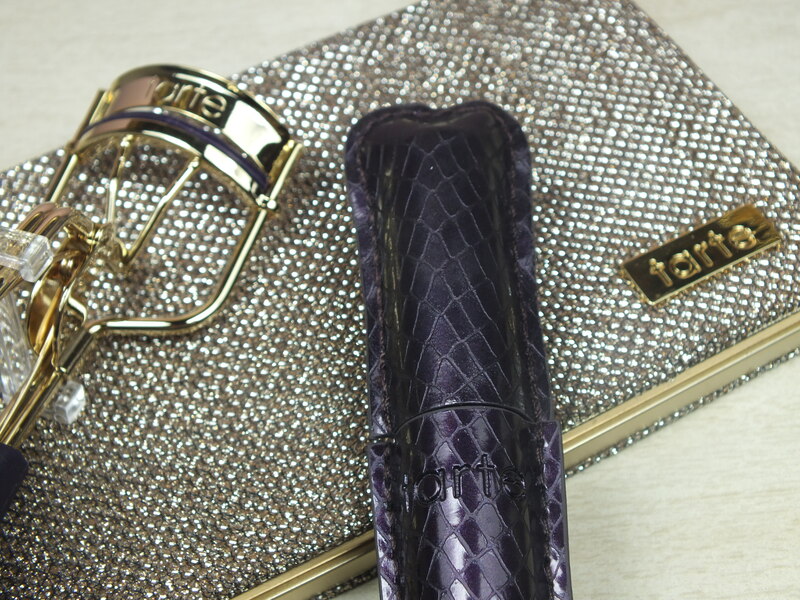 Word on the beauty street is Tarte Cosmetics will appearing with two shows on QVC Friday 28th March at 2pm and 6pm. For more information and a provisional list of products offered check out Really Ree's post here. And if you're too impatient to wait a couple of products have started to appear on the QVC website link. During one of the random chats my best friend and I have he told me that I had to try Lady Million perfume by Paco Rabanne as he thought I would like it - he wasn't wrong (which satisfied him greatly in a 'I'm always right' way). I picked up a bottle during a duty free haul years ago and have worn it since. When I was heading to Las Vegas last year and browsing the Sephora website I was pleased to see that there was a rollerball available to purchase link and it was swiftly added to the shopping list. Picking up the handy handbag sized rollerball was luckier still because my regular bottle ran out as seen in my October Empties post here and I've been relying on it since. I'm trying to enforce a spending ban of sorts over the next few weeks/months but if only not to use up the rollerball I think it's time to reintroduce the gaudy gold diamond shaped bottle onto my dressing table. I'm useless at describing fragrances, especially as I don't smell this a floral scent but that's exactly what it's described as and I find so many perfumes smell different on the wearer. This is a great scent for Winter and whilst I wear this in the day it may be quite heavy for some but do give it a sniff next time you pass the perfume counters. And a final note; when are the UK going to catch on and offer us rollerball/handbag bottles of our favourite scents? Shall we start a petition? Let me know if you're a Lady Million fan or if you know of similar fragrances you'd recommend.